Android supported devices allow configuration of proxy settings for each Wi-Fi Network. This process is required if you need to access the internet through a specified network (e.g. business network or personal network). The browser activities and traffic will be sent through the proxy you configure. 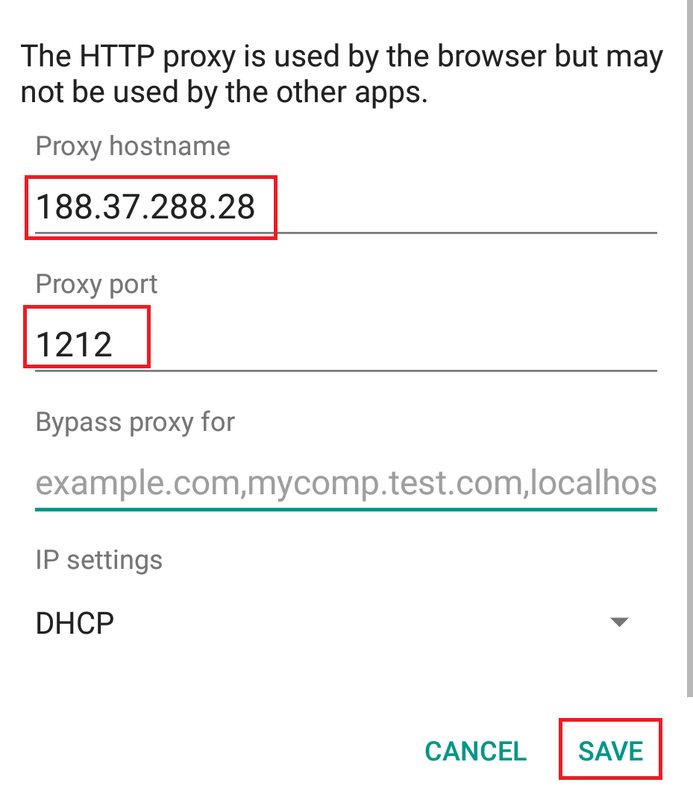 The proxy that you configure can be used by Chrome and other internet browsers in the Android device but this is not applicable to all other apps as each app developer can choose whether they should allow to use Android’s proxy or not. From the homepage, go to Settings App > Wi-Fi. You will be directed to see the list of Wi-Fi networks. Tap (Long press) the Wi-Fi Network you want to configure the proxy settings for. A list of options should appear. Note that you need to be connected to this network before you are able to configure the proxy settings. Select Modify Network and another menu should appear. Expand the Advanced Options section on this screen and you should be able to select Proxy. After selecting Proxy, choose Manual to manually enter the proxy server settings. Enter the proxy server settings by entering the address in the Proxy Hostname box and enter the port number 1212. Select Save to save the current settings you’ve modified. From there, you should now be able to utilize the Proxy on your Android device.